The 2000 Isuzu Amigo is a 2-door, 5-seat Sport Utility, available in 7 trims, ranging from the 2.2L Soft (M5) 4x2 to the Hard (A4) 4x4. Upon introduction, the $15,730 2.2L Soft (M5) 4x2 is equipped with a standard 2.2L, 4-cylinder, engine that achieves 20-mpg in the city and 23-mpg on the highway. a Manual transmission is standard. The $20,495 Hard (A4) 4x4 is equipped with a standard 3.2L, 6-cylinder, engine that achieves 16-mpg in the city and 19-mpg on the highway. an Automatic transmission is standard. Although Isuzu Motors is primarily a manufacturer of commercial trucks and diesel drivetrain components, the brand did, for a time, sell small cars and SUVs in the United States market. The company’s history as a passenger vehicle manufacturer is complicated, involving partnerships with many other car manufacturers. Autobytel’s gallery of Isuzu pictures might provide visual clues to some of those alliances – over the course of Isuzu’s passenger vehicle manufacturing, the brand didn’t manage to establish its own strong visual identity. The 1950s and 1960s saw crash-and-burn partnerships form and dissolve with the Rootes Group, Subaru, Mitsubishi and Nissan. Throughout this time, Isuzu was also trying to design and build its own cars, and succeeded with the release of the 1961 Bellel. General Motors took a stake in Isuzu in the 1970s, which meant some Isuzu-built vehicles were sold in the US under GM brand names, such as the Chevy LUV light pickup truck and the Buick Opel fastback. Although Isuzu was selling Isuzu-badged vehicles in Japan and exporting to several other countries, Isuzu-branded vehicles did not hit US dealerships until 1981. 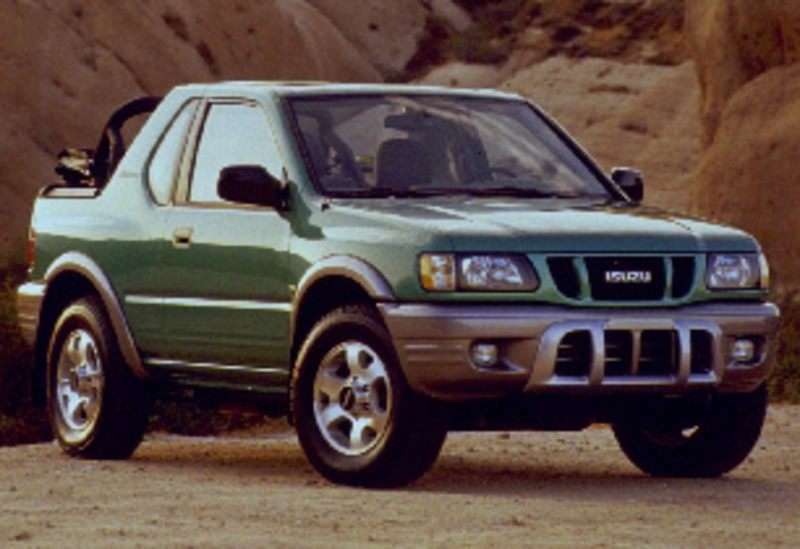 The Isuzu photos collection shows some of their efforts during this era. The Isuzu images will reflect a renewed focus during the 1980s, when they increased their own model lineup, strengthened ties with General Motors, and announced platform sharing initiatives with other brands. Isuzu sales in the US peaked in 1996, began to decline as truck and SUV demand weakened. Isuzu withdrew from the US market in 2009.